Gorbio's elm tree is losing its leaves. 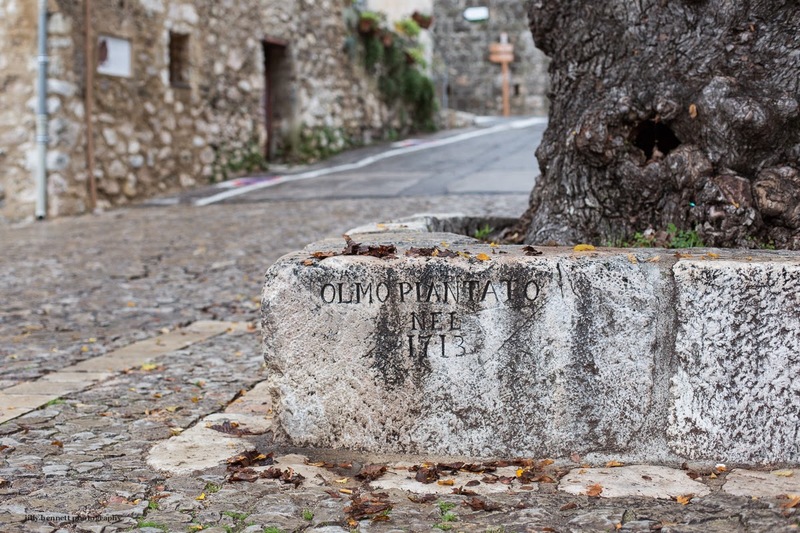 As the engraving says, it was planted in 1713, making this tree, so precious to the heart of all Gorbarins, 301 years old. L'ormeau de Gorbio perd ses feuilles. Comme l'indique la gravure, il a été planté en 1713, ce qui fait 301 ans à cet arbre si précieux au coeur de tous les Gorbarins. That is quite an age for a tree. Spring will come though again for it. Yes! Gorbio has taken good care of this special tree. Now I know the correct term. I might have called them Gorbioreos.